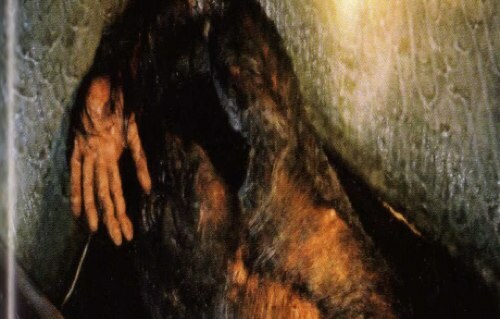 Here are new pictures of the historic Minnesota Iceman, a curiosity which circulated through carnivals and fairs through the 1960s. As you can see, the creature has a arm out stretched over his face which, if you can squint, appears to only feature one eye in socket. The pictures appear in a new book entitled Pickled Punks and Girlie Shows by Rick West.